Team ZWATT is a start-up in Symbion, Østerbro in Copenhagen. We’ve spend three years developing power meters for cycling training, with the ambition of making power meters available for the many. After a successful funding campaign on Kickstarter and Indiegogo, two power meter products are now through the development process and started shipping. This means that the amount of questions and comments on our helpdesk and social media is exploding – and we need more heads and hands to handle this. The questions and comments ooze the enthusiasm and energy of our testers, why it is important that you have the same enthusiasm for cycling and for cycling training as our testers. 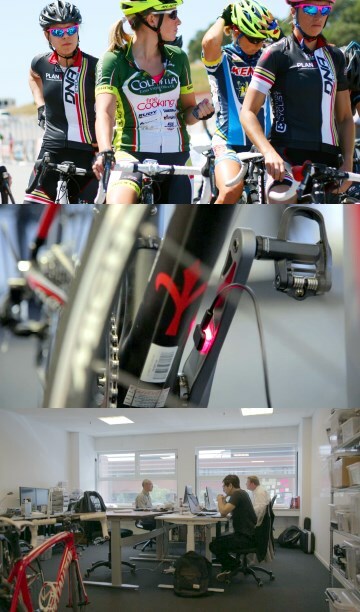 We call them testers, not customers, as an integral element in our concept is that the testers are not “just” customers, they become part of the world’s biggest and most diverse testing group for power meters by sharing their training data, and thereby helping us improve the technology further. The job doesn’t require long education or anything, as a keen interest in cycling and a service mindset are the two main qualifications, we seek. We’re based in Copenhagen, Denmark, but >90% of our customers/testers/backer are from abroad, why fluency in written English is obviously mandatory, why we ask that you write your application and CV to us in English. We’re looking for one full-time or two part-time co-workers for this position. Your task will be to answer the incoming questions in our helpdesk (Zendesk) and on social media like Facebook, Twitter and Instagram. We don’t expect you to be able to answer everything from the start, and you’ll need to draw on the competencies of your colleagues in the office and over time become more and more independent. Location will be at our offices in Copenhagen.